A joyful upsurge of national feeling during the Lithuanian “Singing Revolution” (1987-1991) occurred in Springfieldand across the U.S., as immigrants and their descendants were able to reclaim their ethnic identity with pride. Suddenly, the heritage that many had been taught to cherish in private was publicly relevant: inspiring to millions around the world who valued freedom and human rights. This re-identification with the parents’ and grandparents’ homeland was reinforced by the new freedom to communicate and visit with long-lost Lithuanian relatives and re-unite families that had been painfully separated since WW II. It was also driven by the possibility to help a small nation desperately struggling to regain its independence by means of peaceful mass demonstrations intended to leverage world opinion against the Soviet superpower. 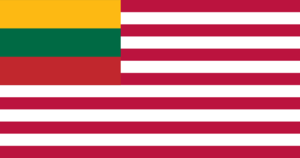 In 1988, 439 local Lithuanian-Americans joined to form a new Lithuanian-American Club to share and celebrate their heritage. The new club, led for many years by Springfield businessman Tom Mack and one of the largest ethnic organizations in Springfield, was formed as a social and cultural organization. However, many of its members worked diligently for the cause of Lithuanian independence, which was finally achieved with the break-up of the Soviet Union in 1991. The immediate consequences of this great victory were a flurry of visits to Lithuania and the creation of many new educational, cultural and social contacts. Several new immigrants arrived in Springfield from Lithuania, though the main influx during the post-independence period went to Chicago. Labas, aš Vaidotas Mikalainis gyvenu UK, dėkoju, kad jūs esate, man labai svarbu viskas kas yra susiję su Lietuva ir lituvybe, didžiuojuosi būdamas Lietuvių, jei galėčiau gauti patarimų kaip puoselėti lietuvybę UK būčiau labai dėkingas ir noriu palaikyti ryšius su visais Lietuviais tai labai svarbu man, ir manau visai lietuvybės egzistencijai, lauksiu Jūsų palaikymo.